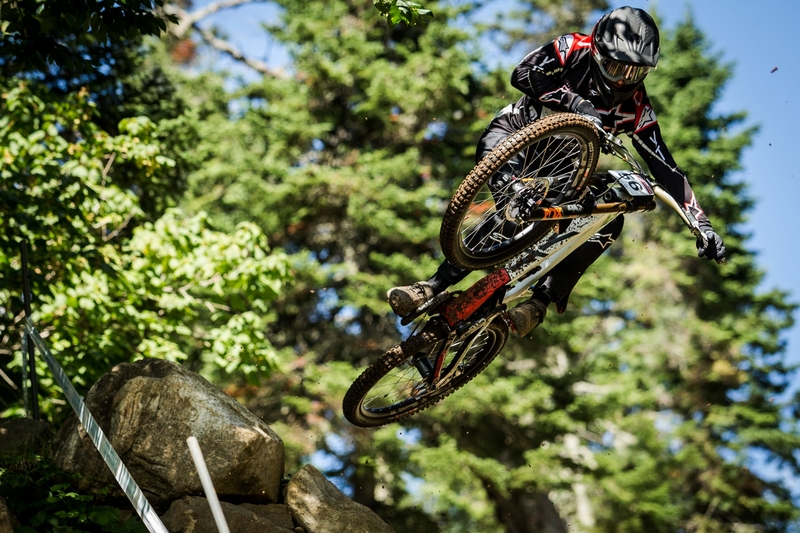 The YT Mob’s youngest rider, Spain’s Angel Suarez, showed his hand today as a rider who’s determined to find a bright future for himself in the world of mountain bike racing. 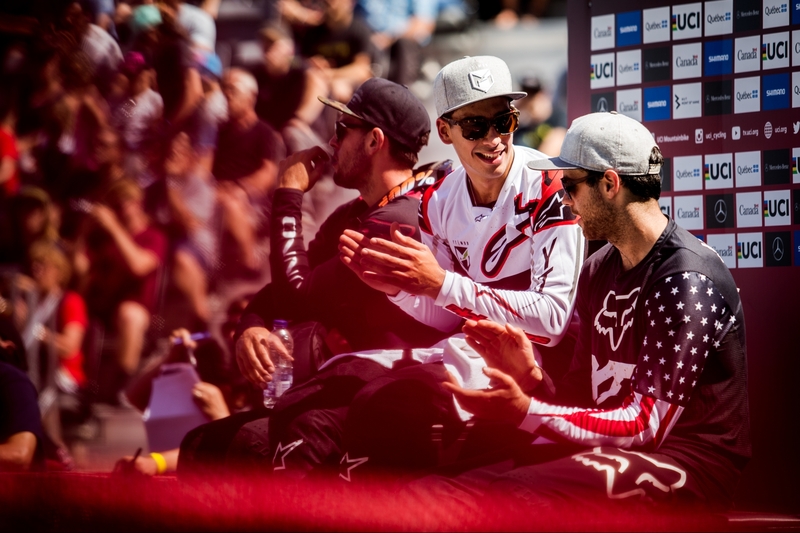 Straight after his career best result of 13th in Andorra a few weeks ago, Angel set a new personal benchmark by finishing 9th here at the demanding and long track in Mont-Sainte-Anne, Canada. Qualifying on Friday saw both Angel and Neko getting through to the finals with their Top 60 results, and while Angel’s 24th was fairly solid, it was a little conservative in places, but the goal was to secure a place in today’s show without issues. For Neko, a crash in the first sector when a rut didn’t support his front wheel meant it was a nervous wait to see if he’d make the top 60…and the 55th place he scored was just enough. It also meant he’d be down the mountain early today and went straight onto the top step of the hotseat, with a 4m 22.4secs. Twenty six minutes later, Angel came down and joined Neko on the hotseat. Angel’s time of 4m 19.4secs was enough to keep him in the hotseat for more than 1hr and 15mins, and to have his run shown on the Red Bull TV broadcast for the first time in his career. As time went by, more and more riders failed to beat Angel’s time and in the end, he found himself in the top 10, only the 2nd Spanish rider to do that in the last 15 years. I’m super stoked! I was feeling really good all week and at the same time I was really looking forward to getting a better result than the last race in Andorra. I did a smooth run for qualifying but I knew I had more for the finals. Today the run was smooth, but I was also trying to be as intelligent as possible about the race, and in the end it worked out for me. I can’t wait for the next race in France and to have my ‘hermano’ back racing with us. I’m feeling very thankful for the whole team and all the trust they’ve place in me. 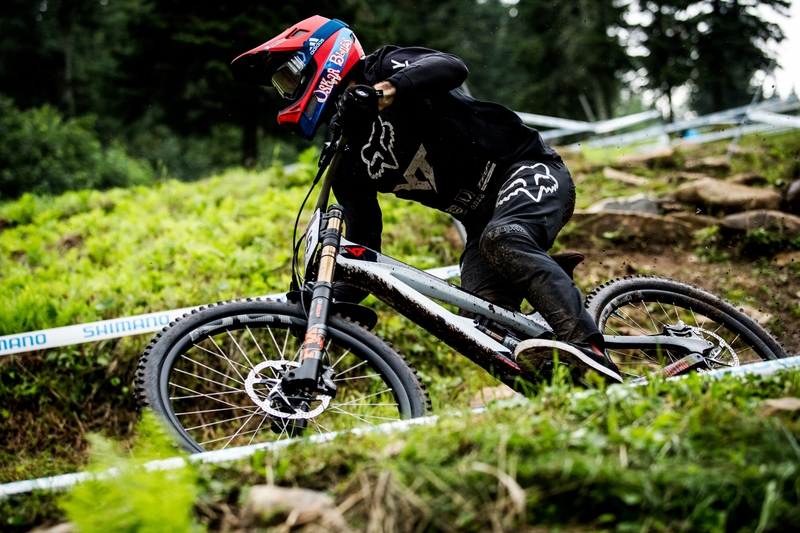 Neko’s solid run ensured that he would finish 21st and move up another place in the overall to 24th with one World Cup race to go. I struggled to find the edge this weekend with the changing conditions on this challenging track. The past few weeks racing on the east coast have been awesome; I found some confidence and I’m really looking forward to bringing that to Europe for the last races of the season.